On Sunday, February 3rd, football fans will watch as the Los Angeles Rams and New England Patriots face-off in the brand new Mercedes-Benz Stadium located in Atlanta, Georgia for the 2019 Super Bowl. 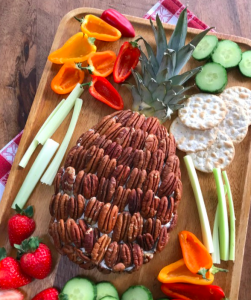 Entertaining just became even more exciting now that Food Network has released a brilliant idea: the pineapple keg. Simple, impressive, and efficient, this concept has everything you need to impress your guests. 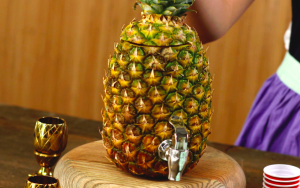 All you need is a Chestnut Hill Farms Perfect Pineapple, a beverage dispenser (such as the one for $9.99 on Amazon here), and the cocktail recipe of your choice (try it with our Tiki Holiday Pineapple Punch recipe!). 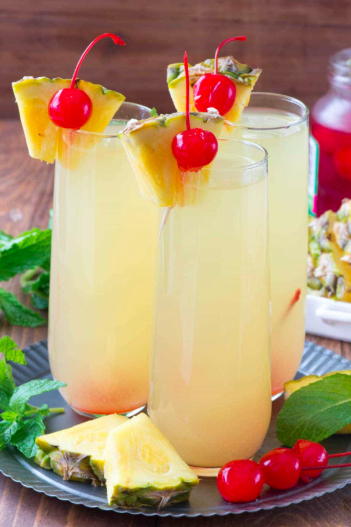 Add your favorite pineapple cocktail into the pineapple keg, pour, and enjoy! View the full video from Food Network.